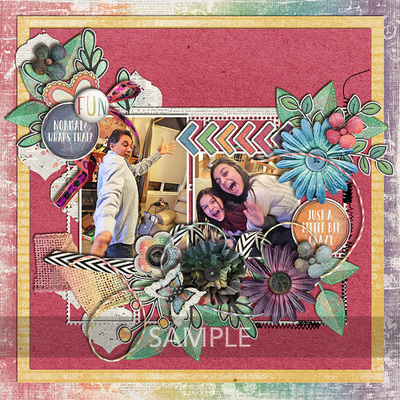 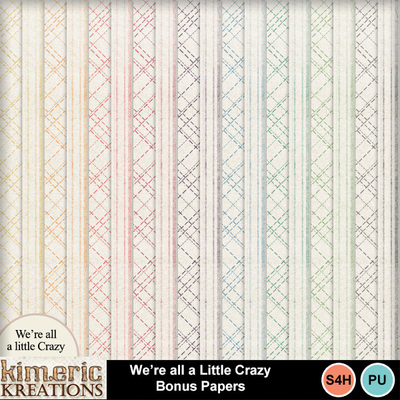 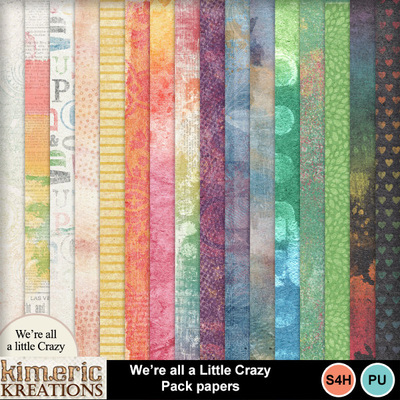 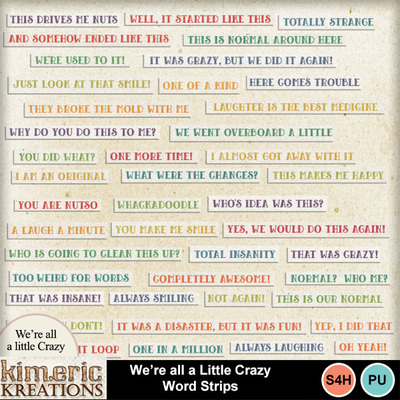 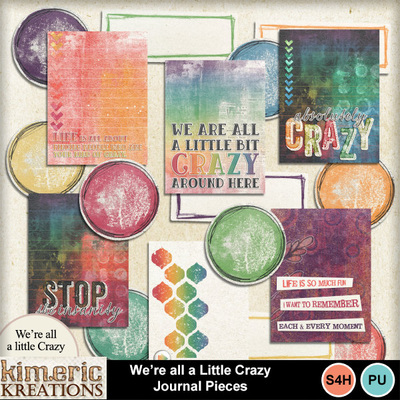 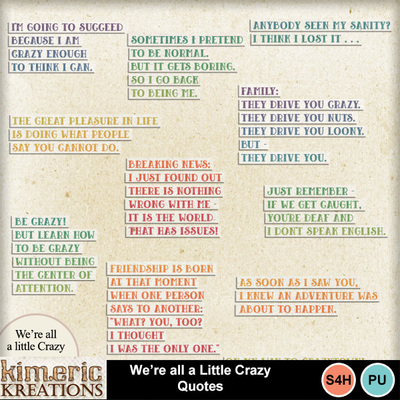 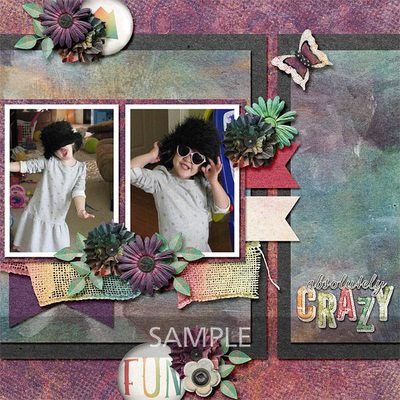 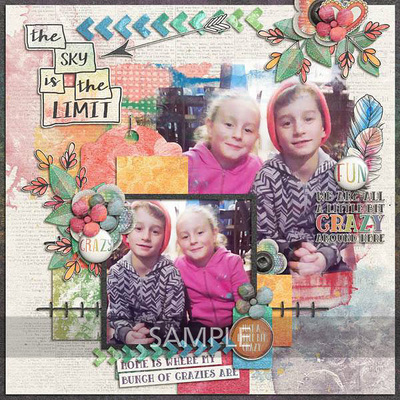 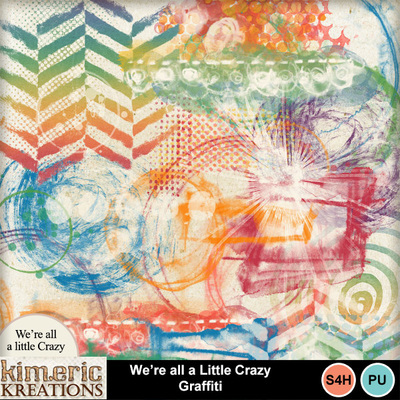 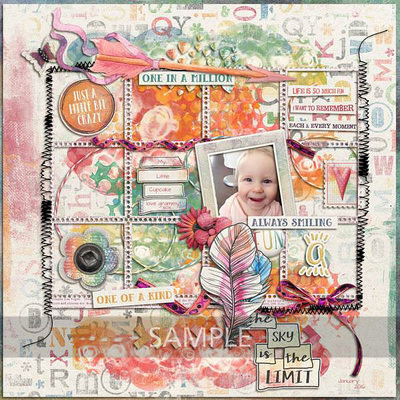 A digital scrapbook Collection by Kimeric Kreations, A Little Crazy is designed to celebrate the crazy in your family. 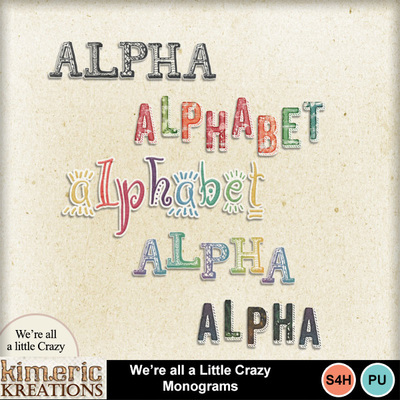 With beautiful colors, fun word art, word strips and quotes. 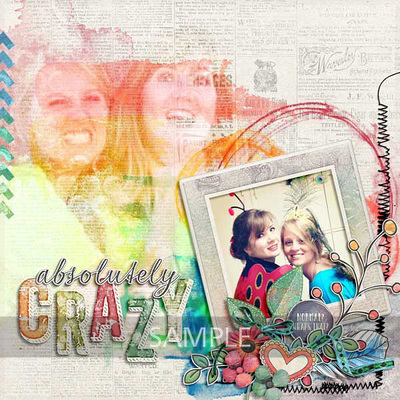 A Little Crazy has everything you could ever want to capture the crazy that is your family. 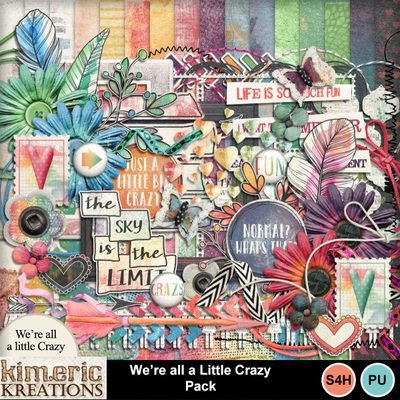 All pieces of the Collection are included in this Bundle.